← Why no Defence Force against climate change? 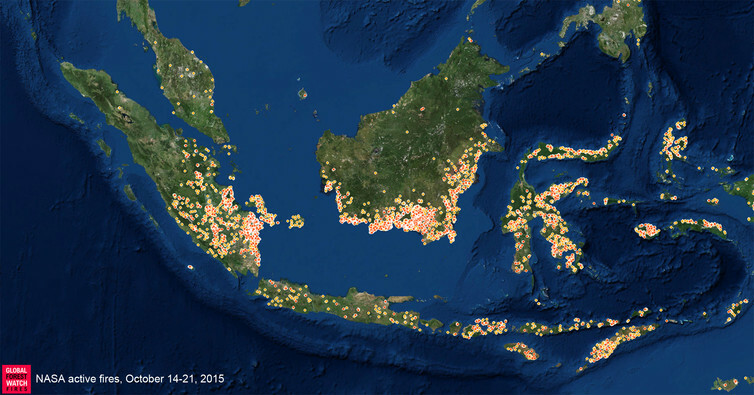 Indonesia is destroying its rainforests faster than any other tropical nation, and it is at the heart of the recurring air-pollution crisis in Southeast Asia. Its policies will have a huge impact on forests, biodiversity and the global climate… predict any corporation rash enough to backslide on its hard-won no-deforestation pledge will be quickly targeted by environmental groups and, hopefully, punished by consumers. This entry was posted in Events local and tagged climate emergency declaration, Indonesia, palm oil, Peat fires. Bookmark the permalink.